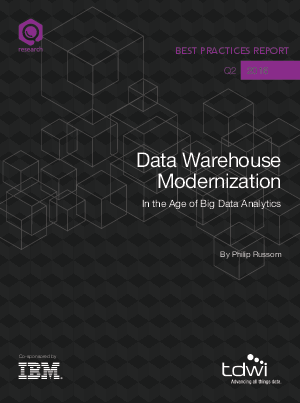 No matter the vintage or sophistication of your organization’s data warehouse (DW) and the environment around it, it probably needs to be modernized in one or more ways. That’s because DWs and requirements for them continue to evolve. Many users need to get caught up by realigning the DW environment with new business requirements and technology challenges. Once caught up, they need a strategy for continuous modernization.